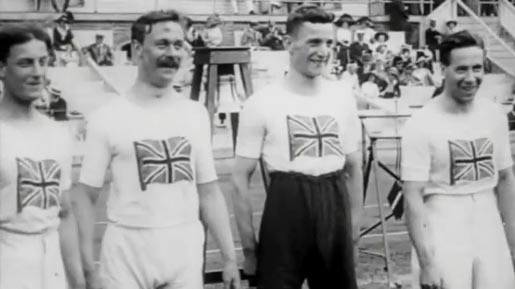 EDF Energy, the British energy company, promoted its sponsorship of the 2012 Olympics with a commercial recreating scenes from the 1908 Summer Olympics held in London. As official electricity supplier of the London 2012 Olympic and Paralympic Games EDF Energy, EDF set out to deliver a low-carbon vision for London through the development of several innovative projects. Michael Gambon explains in the commercial that the early Modern Olympic games would have a low carbon footprint compared to today. EDF now has the challenge of reducing the environmental impact of the 2012 games. The Modern Olympics ad was developed at AMV BBDO, London. Footage was collated and edited at Framestore. Music, an original composition called “The Farmer”, is by Mike Beever, licensed by Extreme Music, available as ‘Fated Breath’ on﻿ Piano Works.